Growing spine-like tiers, flat blades and branches reaching out as far as they can; nobody likes crabgrass in their lawn. It’s a pesky summer weed that germinates in late spring or early summer and never seems to go away. However, with the right pre-emergent fertilizer application at the right time, the germination of this and other unsightly weeds will be dramatically reduced. Pre-emergent alone is not a fertilizer; it is an herbicide which helps to prevent weed seeds from germinating by blocking an essential enzyme. It does not necessarily stop the germination process, but does prevent the weed from breaking through its barrier and emerging in the lawn. This herbicide needs a substance to bind with for the application process. 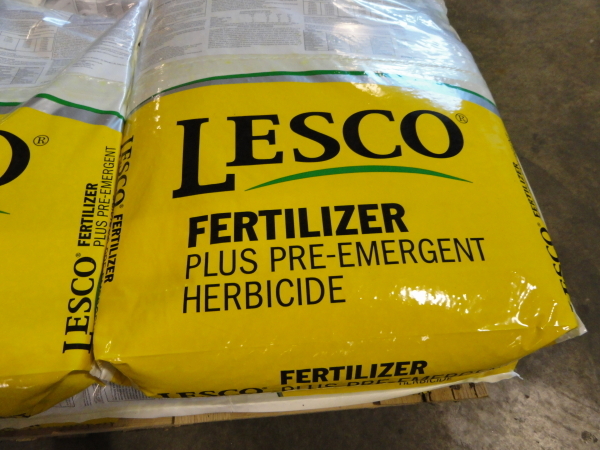 The agent frequently used to bind with pre-emergent is fertilizer. This is sometimes referred to as weed and feed due to the weed seed prevention components, as well as the beneficial fertilization. Pre-emergent comes in two forms, liquid and granule. Typically both forms will require the area to be watered. Watering activates the pre-emergent, allowing the product to break down into the soil and create the barrier within the root system. This barrier should not be broken or it will cause the product to be ineffective. Breaking the pre-emergent barrier is done once loose soil has been exposed such as with aeration, slit seeding, improper mowing and edging practices or digging. Pre-emergent herbicide is applied in the spring months and should be applied before the germination process, before the problem presents itself or emerges. Crabgrass has a long germination cycle and requires a soil temperature to be an average of 50 degrees at 1 inch under turf for 10 consecutive days. While this is not always the easiest to find or calculate, many use Growing Degree Days based off air temperature, which typically requires a consistent 65-70 degrees. A good rule of thumb is to try to apply before or in conjunction with the early stages of the “spring green up” of the lawn. In our local area, pre-emergent fertilizer typically should be applied before April 15th. A pre-emergent fertilizer needs to be applied evenly to the entire lawn, often times with a push spreader or other type lawn applicator. If spots are missed, it is likely that weeds will present themselves in this area. If spots have pre-emergent fertilizer applied too heavy, stress or burn may occur, causing damage to the lawn. The amount of pre-emergent fertilizer needed depends on the size of the area. The rate of application depends on the rate of the active ingredient. Applying too little causes the product to be ineffective, while applying too much can cause stress or burn the area. If you hire a lawn care professional they will have this pre-calculated in lbs per 1,000 square-feet for the proper amount of product used. If you choose to DIY, please read the instructions on the product purchased and apply at the recommended amounts. Pre-emergent should never be applied to a newly seeded lawn or to a lawn that is planned for seeding within the effective period. Pre-emergent will not harm established lawns, but will it prevent the germination process of grass seeds as well and immature established grass areas, such as areas that were seeded in the fall, but not completely matured yet. As with any product, caution should be used while handling and applying as well as after the product is applied. Children and pets should be watched closely if they are in an area that was recently treated but that the product has not been completely watered into the soil. To sum it up, pre-emergent fertilizer is the best option when to prevent crabgrass and other weeds within your lawn but keep in mind, that while it does stop the germination of those pesky eye-sores, it will also stop the germination of anything else you may be trying to grow such as grass seed.